Often described as obsessive because of her workout habits, Angelia Kniesly has the perfect comeback: “Obsessive is a word used by the non-motivated to describe the motivated,” she says with a challenge in her voice. If you dare take the challenge, be prepared to suffer. Angelia has been attending Brooks Integrative Training workouts for two years now and based on her winter training habits, Angelia clearly knows how to suffer. Her ripped abs and chiseled limbs speak volumes to her workout ethic. Yet Angelia takes it all in stride, explaining simply, ‘It’s a lifestyle choice. I choose to live healthy.’ Rather than sit on the couch, Angelia fits in two workouts per day on most days, fitting in the routine around her day shift at IU Health North where she works as an OR Nurse. The athletic bug bit early in young Angelia’s life; she took up distance running in junior high and was accomplished enough in the mile run to make all sectional as Freshman in high school in her home town of Springfield, Illinois. Similar success followed in her sophomore year, but life intervened and like many of us, Angelia put her athletic endeavors on hold while she took a job to prepare for college. After earning her B.A. in Business from the University of Illinois-Springfield, Angelia resumed her running career and quickly began winning the women’s division in most every race she entered. Several years of success was followed by a move to Indianapolis in the mid 1990s. Working at the Athletic Annex, Angelia was introduced to many endurance and multi sport athletes. Inspired, she ran her first marathaon, the Honolulu Marathon, in 1998. Around the same time, Angelia became involved with Team In Training, serving as a running coach. Her involvement expanded in 2001 when Team in Training needed a triathlon coach. Although not a swimmer, Angelia never backed down from a challenge and found herself immersed, so to speak, in the task of learning and teaching others how to swim. A true adventure seeker, Angelia was soon drawn to the sport of Adventure Racing. Epic would not quite describe the conditions surrounding her very first adventure race. Although January temps can be frigid, when the environ is Georgia, one might expect temps in the 40s. In Angelia’s first race in January of 2002, the temperature was -5 degrees F. And they raced for 30 hours. Her team finished 9th out of 40 teams and was the final team to finish. Maybe obsessive does apply; she says she was hooked after that race. 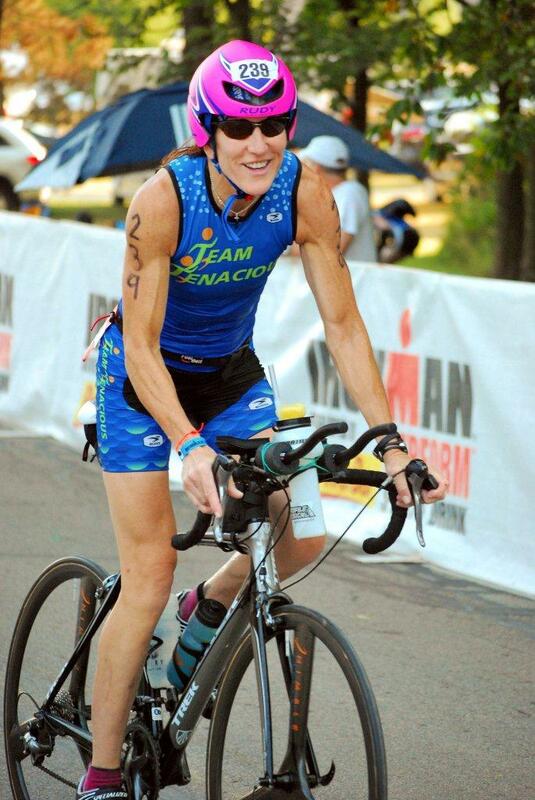 Angelia remains an all around athlete, competing in running events, triathlons, duathlons and adventure races. In 2012, she finished 3rd in her age group in the Indianapolis Mini Marathon; finished 2nd in her age group in the June Muncie Olympic Distance Triathlon; and in July, Angelia placed first in the Muncie Olympic Distance Triathlon (was supposed to be a 1/2 ironman but weather forced reduction to olympic distance). Of note about the final race in which she finished 1st in her division, Angelia shared that her bike computer had stopped responding, thus, she had no data readout during the bike leg of the race. Without any readout, Angelia says, “I just rode as hard as I could and I was astonished by the final results.” Angelia averaged 23.7 mph for 30 miles. Normally, she averages around 21 – 21.5 mph. Angelia admits that not having the computer was the best thing that could have happened to her and she encourages others to ride computerless from time to time, especially if one needs to break through a plateau. When asked what her secret to success has been, Angelia replied, “I found my passion and accepted what works for me.” She encourages others to find their passion, whether that be to race, to get healthy, or to establish new friendships. All of which are a part of the Brooks Integrative Training philosophy.